Can Thorium Energy Fight Climate Change & Solve the World’s Energy Needs Simultaneously? The short and the long answer is YES. Not only is switching to Thorium (See TH #90 on Periodic Table of Elements and Chemistry) power greener, cheaper and an over-all better idea for humanity than using fossil fuels and solid fuel nuclear power, but it also has advantages over solar, wind and other green sources of energy as well. The main hurdles for adoption in the past have not been technical, but rather seem to have been based on government representatives doing what is best for profit driven corporations instead of the people who elected them. A classic example is the clear message in support of the fossil fuel industry that President Ronald Reagan (R) sent when he removed all the (fully functioning) solar panels that were installed on the White House that President Jimmy Carter (D) had installed previously. Obama (D) reinstalled new solar panels on the White House during his term as President. 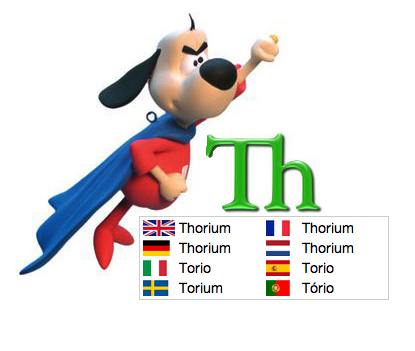 Thorium the under-rated superhero of energy is element #90 on the Periodic Table. Thorium Energy has been a proven technology since the 1950s in the US, ever since Oak Ridge National Laboratory successfully ran a nuclear power plant using Thorium fuel for a couple of years (over 20,000 hours). However, at the time the US military really wanted a solid nuclear fuel (not a liquid) because it was easier to transport and could be used in a larger number of applications (weapons). Fair enough, but do those same conditions exist today after the US has an unmatched massive stockpile of nuclear weapons? Today, just like yesterday the world’s largest and richest companies even ones that produce nuclear power don’t want to support the proliferation of Thorium energy, because it is not as profitable as their current business models. Even in the case of established companies in the nuclear power industry they want to protect their investments selling uranium fuel for which they have permanent locked in contractual obligations (profits) by being the primary suppliers of nuclear fuel for the plants they have previously built. Compared to many other sources of energy in use today Thorium fuel is basically cheaper than chips (as the Brits & Aussies would say) and will stay that way because selling Thorium has very few barriers to market entry being that it is both very plentiful and available worldwide (as well as on the Moon)! Thorium is even currently considered a waste product for the rare earth mining industry, which has been ramping up for decades. It is really not surprising that in a world dominated by Corporate capitalism that companies would not want to support a business model where they couldn’t be making money on selling the fuel to create energy when they are happy and content doing so at the present time. This is akin to the same problem of why current electric utility companies even when they already have a monopoly on power production in many places give little more than lip service to alternative energy, rather than making serious efforts to switch to wind, solar, geothermal or tidal power because they can’t continuously charge for wind, waves or sunlight, when their customers also have access to those energy sources. In the end the electric utilities are still in business to make profits for their shareholders, and that will continue to be their #1 priority. 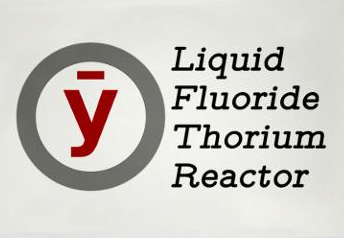 A future based on Thorium power means that companies creating mini-Liquid Fluoride Thorium Reactor (LFTR) power plants would have to rely on very efficient manufacturing processes to maximize their profit, and no doubt they would soon be competing with cheaper labor in 3rd world countries to produce them. They won’t be able to count on profits from service inspections and/or consumable components after a Thorium nuclear plant has been built as the current nuclear industry enjoys. In addition LFTR power plants have very little maintenance and upkeep compared to traditional nuclear plants–about all that is required to keep it running is to shovel in some more thorium every few years! Thorium alone could easily supply the world’s energy needs for the next 1000+ years, in addition to fueling all the vehicles on the planet even if they were NOT powered by electricity. Thorium LFTR powerplants in addition to producing electricity can also be configured to create Ammonia (for fertilizer) and synthetic fuels: Dimethyl ether (for diesel) and Methanol for gasoline. 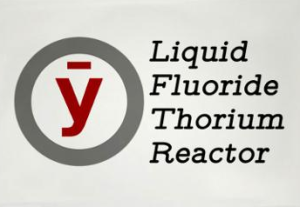 Why is the good word about Thorium LFTR power just now getting out via social networks and independent websites and not being reported by mainstream media? It’s because Thorium energy would be a very disruptive technology to those currently making money in the energy business. Those energy companies are very powerful (and dominate 4 out of the top 5 companies on the Fortune 500 list) and their money and influence via government lobbyists and advertising dollars easily trump any huge benefits to the non-stockholding citizens of planet. As the mass adoption of Thorium power, has yet to happen even though the technology has been available for decades just goes to show you the incredible power and influence of those that consider such technology threatening–companies entrenched and currently making money supporting the fossil fuel and nuclear power industry. Corporate greed is most likely responsible for keeping antiquated technologies in use much longer than what is prudent, especially considering Global Warming and Climate Change. Sadly that’s just the way things are, and there is little that can be accomplished as long as politicians keep bending to the whims of multi-national corporations, which are determined to keep underdogs such as Thorium power almost banished from their real world like a fictional cartoon character. 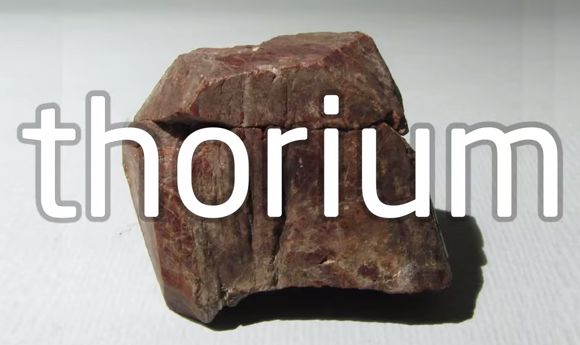 What is Thorium? Thorium (TH element #90 on the Periodic Table) is widely distributed in small amounts in the earth’s crust. Thorium comprises 3-10% of monazite sands, which are found in the United States (North & South Carolina, Idaho, Colorado, Montana, and Florida). Large deposits of Thorium are also found in Brazil, India, Australia, and South Africa. In addition Thorium is also found in the minerals Thorite and Thorianite. The isotope Thorium-230, is a decay product of Uranium-238, so it is also found along with Uranium deposits. Ask your government representatives why after the benefits of Thorium as an energy source have been known and proven for over 50 years: Why isn’t the USA generating power via Thorium instead of continuing to support dangerous and more expensive methods? The Thorium Dream (Documentary) Thorium Summary – “Th” Documentary A older video about Thorium which explains why it should be considered green nuclear power, and how using it can mitigate Climate Change: References: You can also view from this website the findings of UK National Nuclear Laboratory with respect to a comparison of the thorium, plutonium and uranium fuel cycles (in .pdf format).